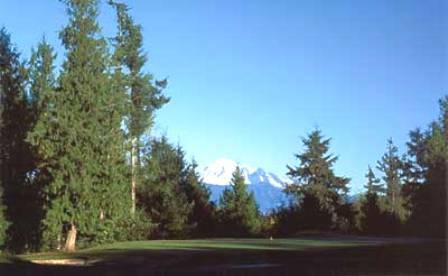 Homestead Golf & Country Club, previously named Homestead Farms Golf & Country Club, is a Semi-Private, 18 hole golf course located in Lynden, Washington. 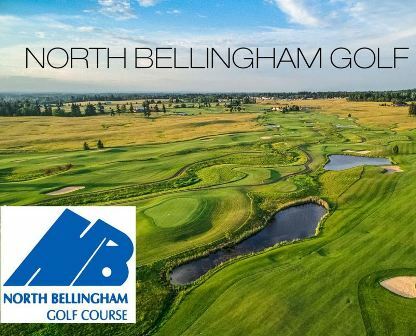 Homestead Golf & Country Club winds its way across what was once dairy land and is now one of the real surprises of Northwest Washington golf.  The course has wide landing areas and multiple tees for the recreational golfer and length, doglegs and hidden hazards to challenge players with some game. 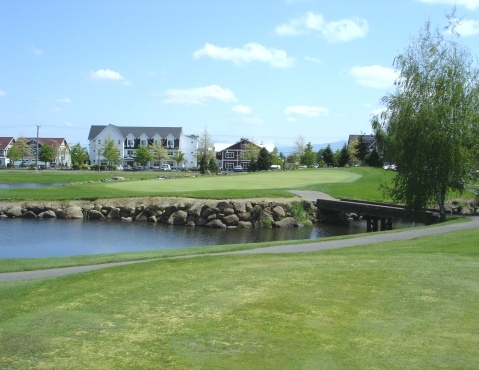 This is the only course in Washington with a par five that plays into an island green. But this green not only has water around it, it has water on it. Hit it short, you're in the drink. Hit it long, you're in a rock garden and waterfall. That, combined with spectacular views of majestic Mt. Baker makes this a course you will remember. Par for the course is 72. From the back tees the course plays to 6,927 yards. From the forward tees the course measures 5,570 yards. The longest hole on the course is # 3, a par-5 that plays to 527 yards. 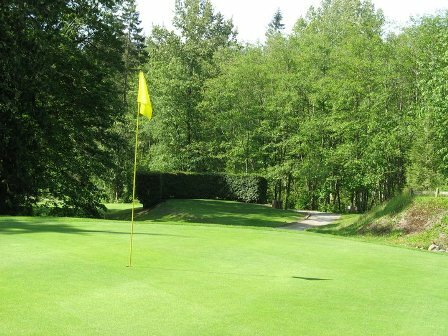 The shortest hole on the course is # 16, a par-3 that plays to 163 yards from the back tees. 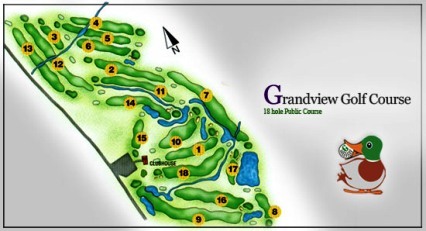 Watch out for # 3, the 527 yard par-5 challenge is the #1 handicap hole on the course. The easiest hole at Homestead Golf & Country Club is # 16, the 163 yard par-3.